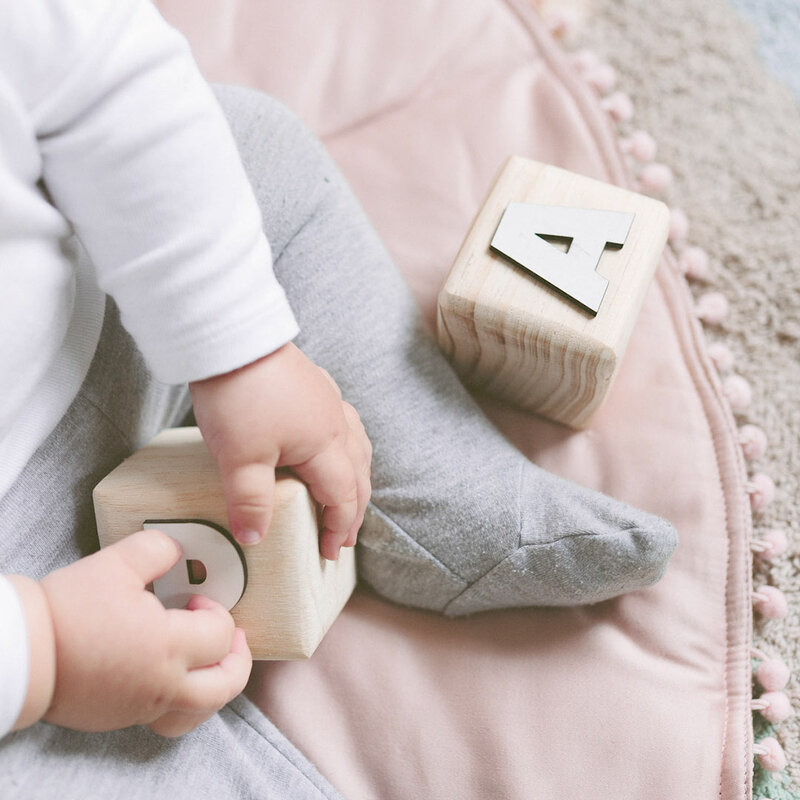 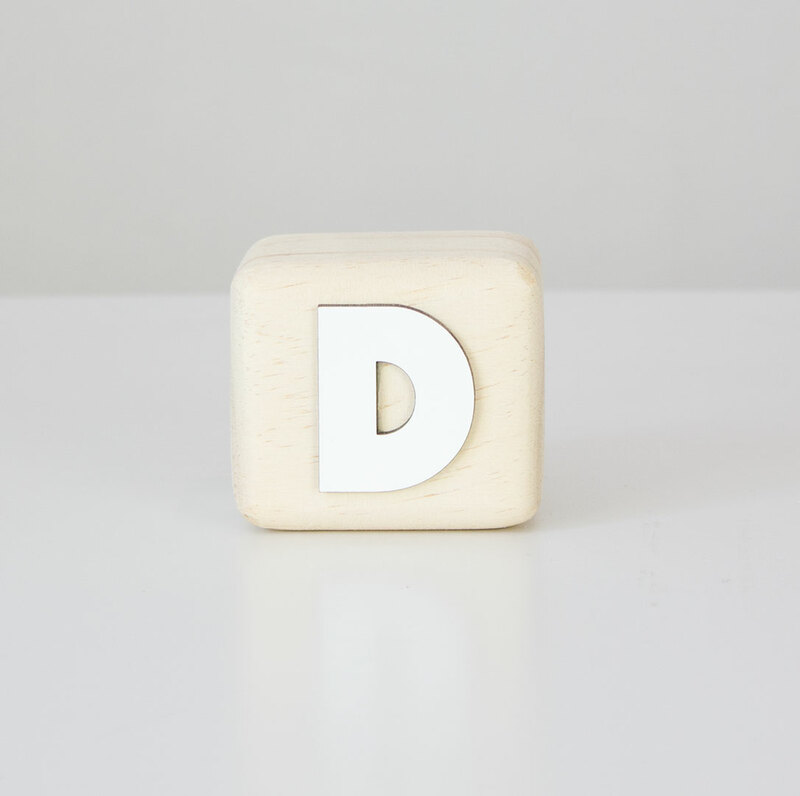 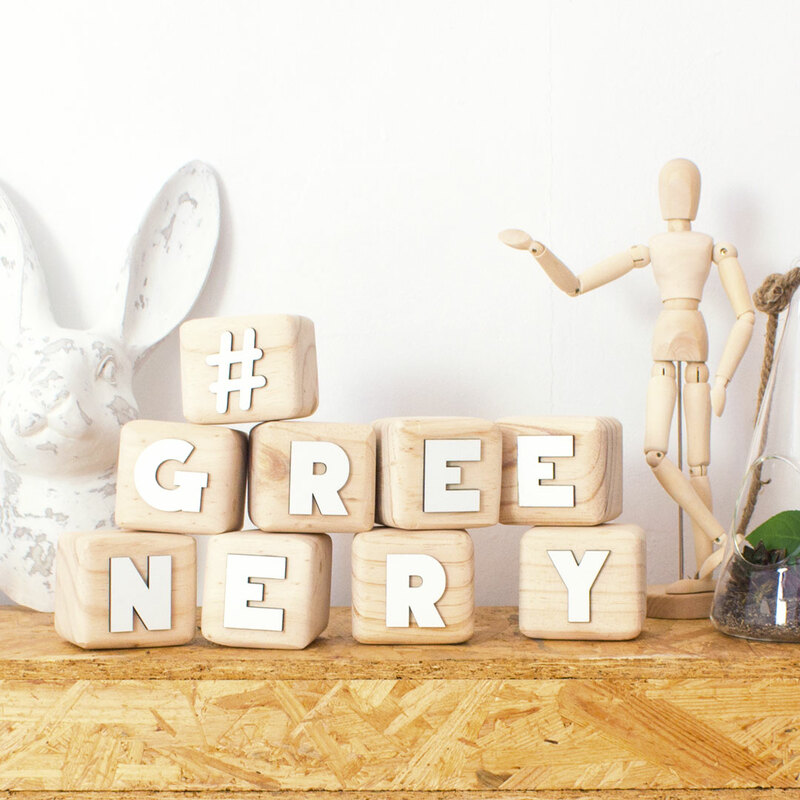 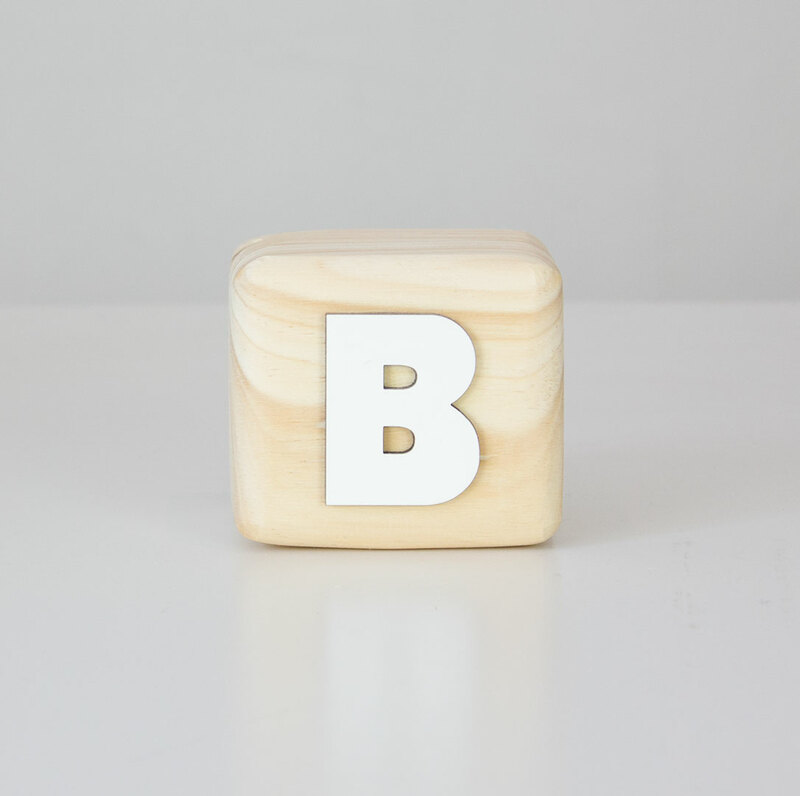 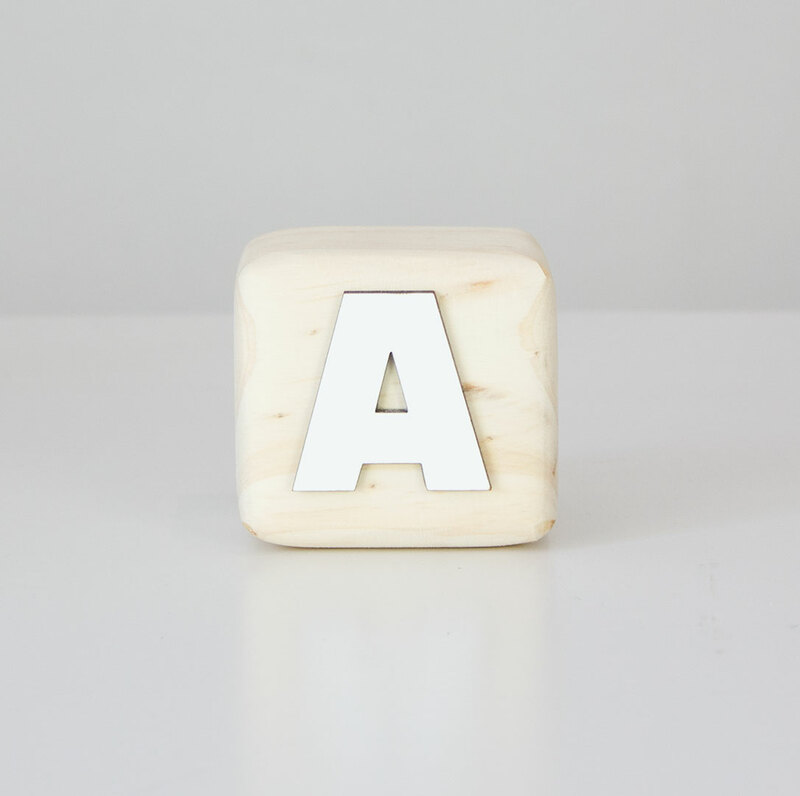 The solid pine Alphabet Wood Block Letters are ideal for creating inspirational and decorative designs in your nursery or kids bedroom. 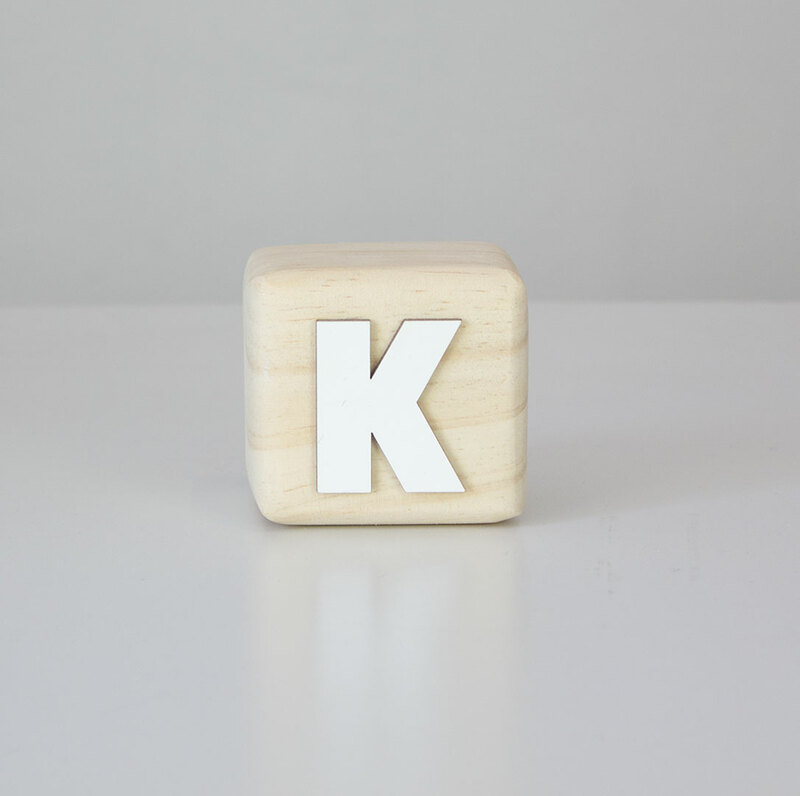 Please note price is per letter. 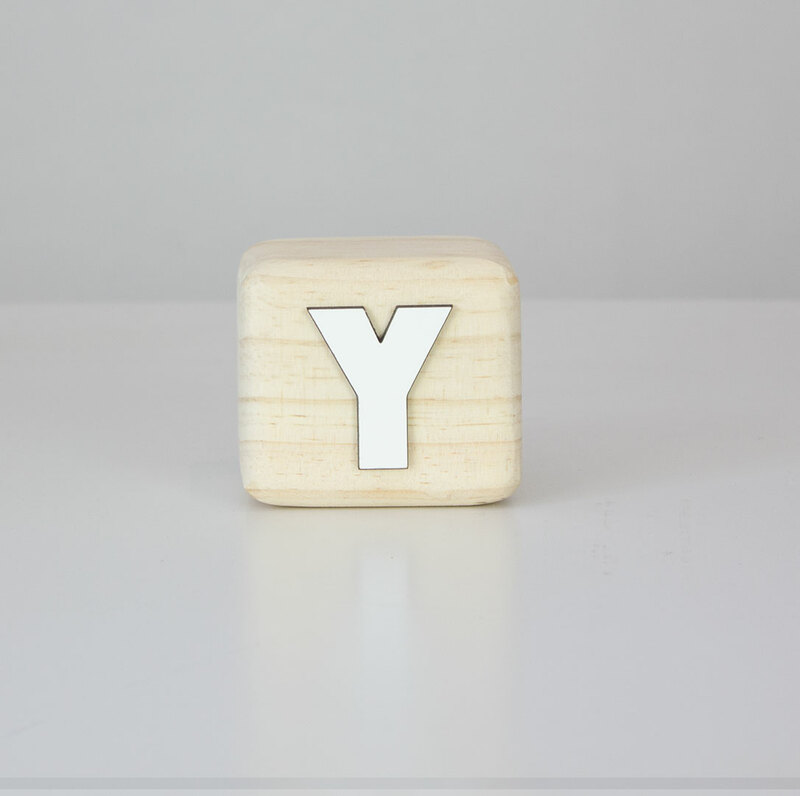 Type in the name or word(s) you wish to order in the allocated text box and be sure to select the right quantity of letters for your word or name. 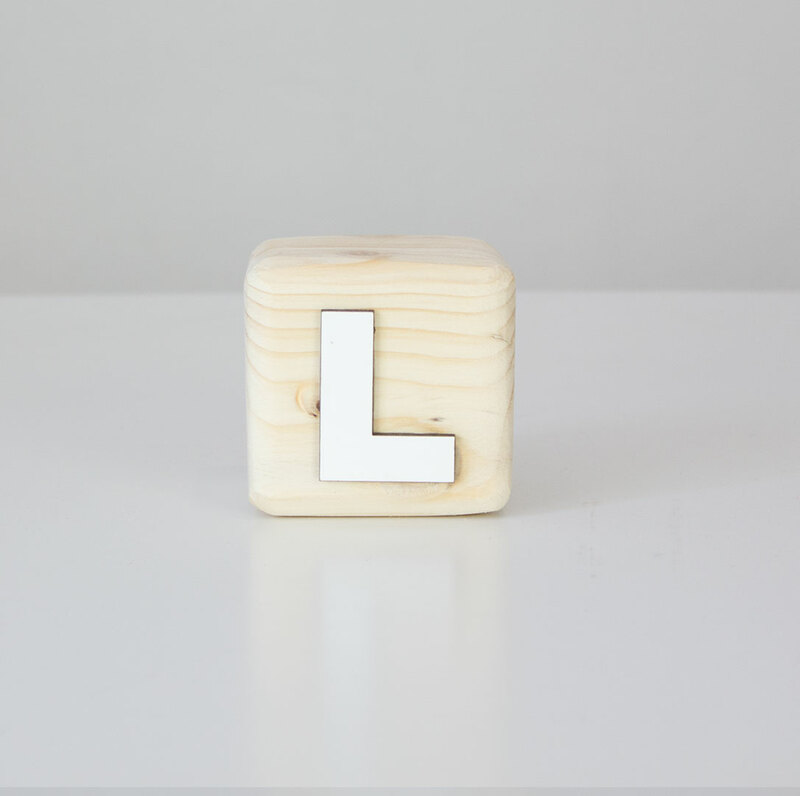 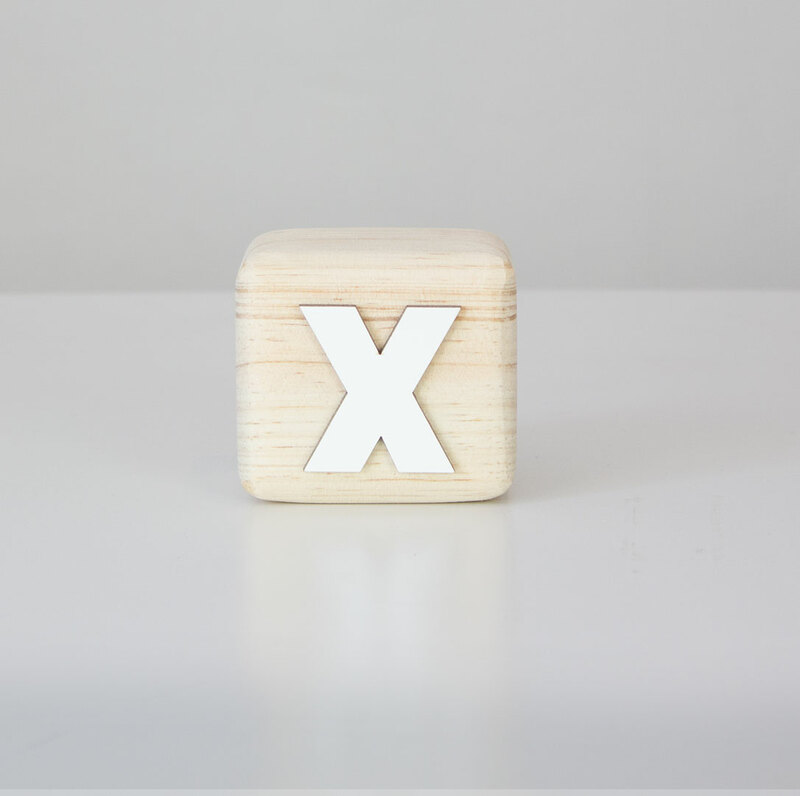 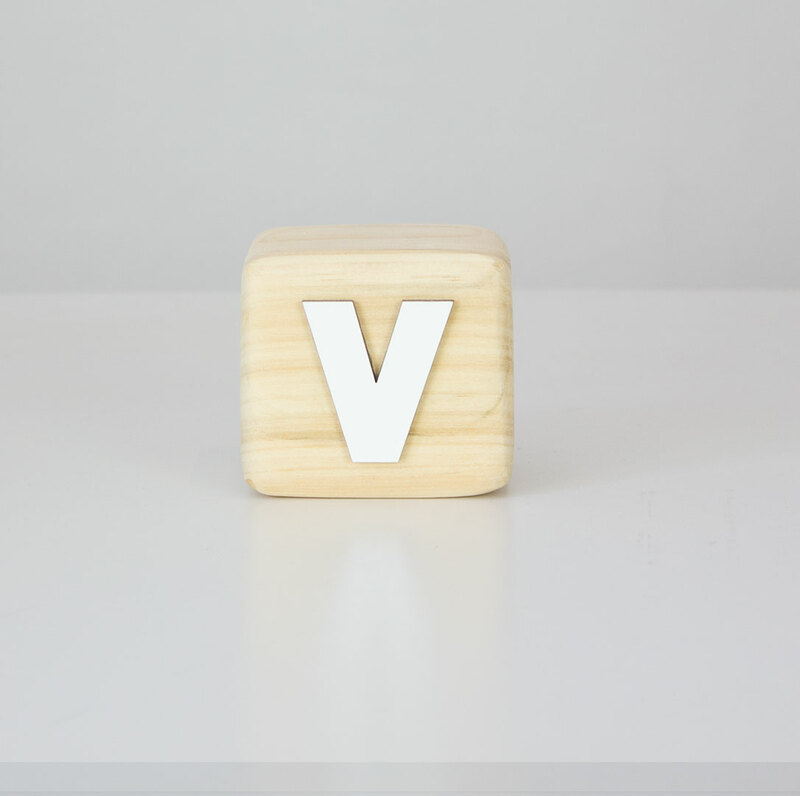 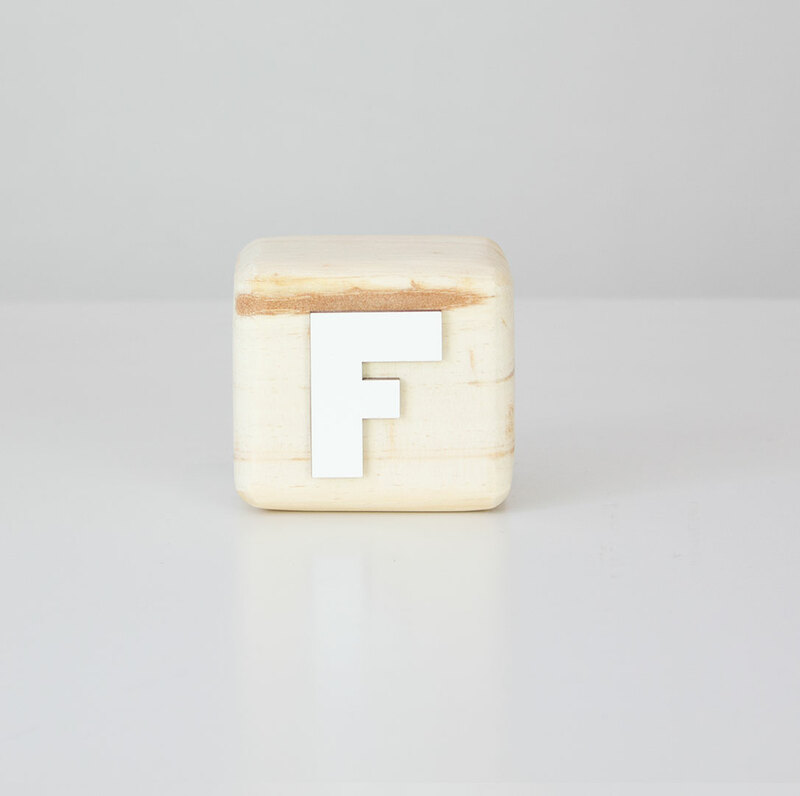 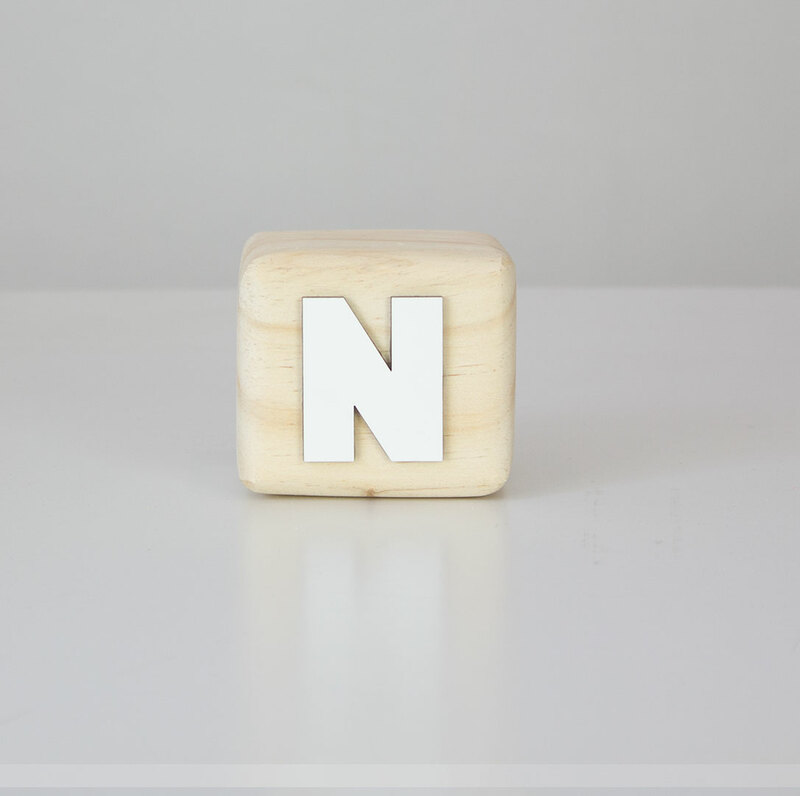 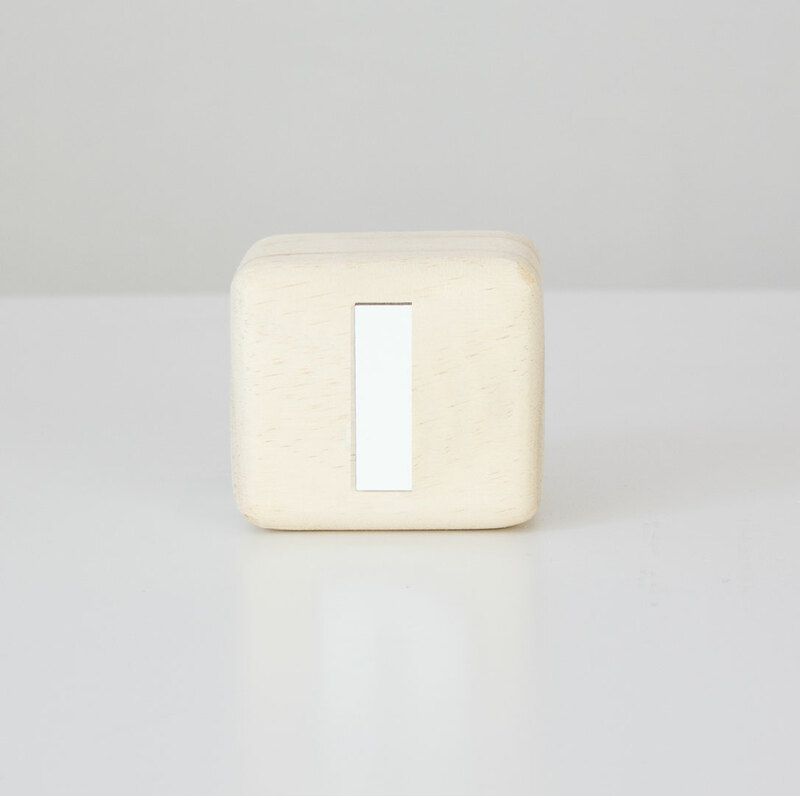 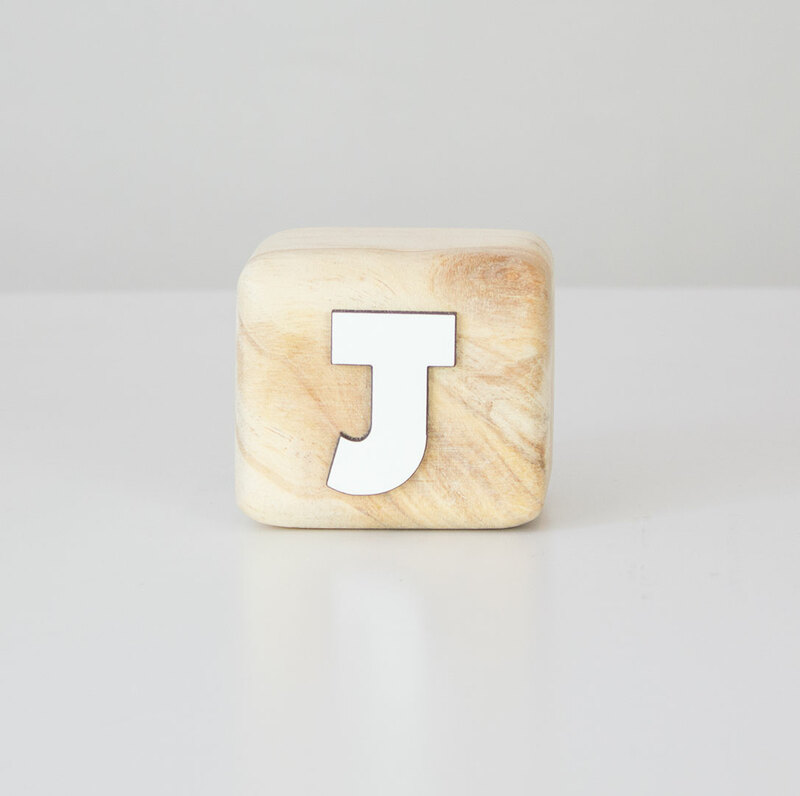 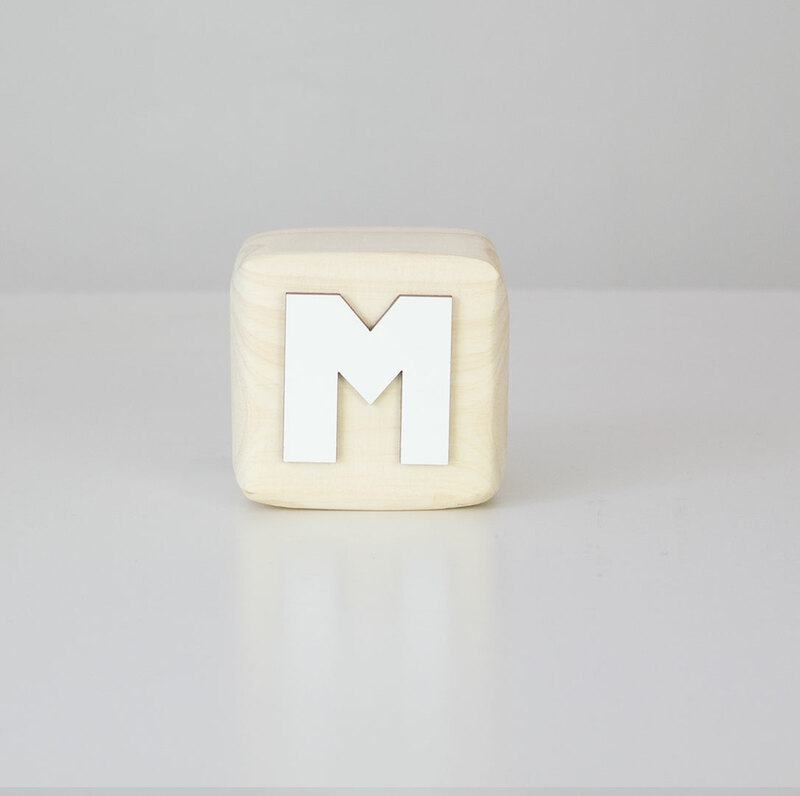 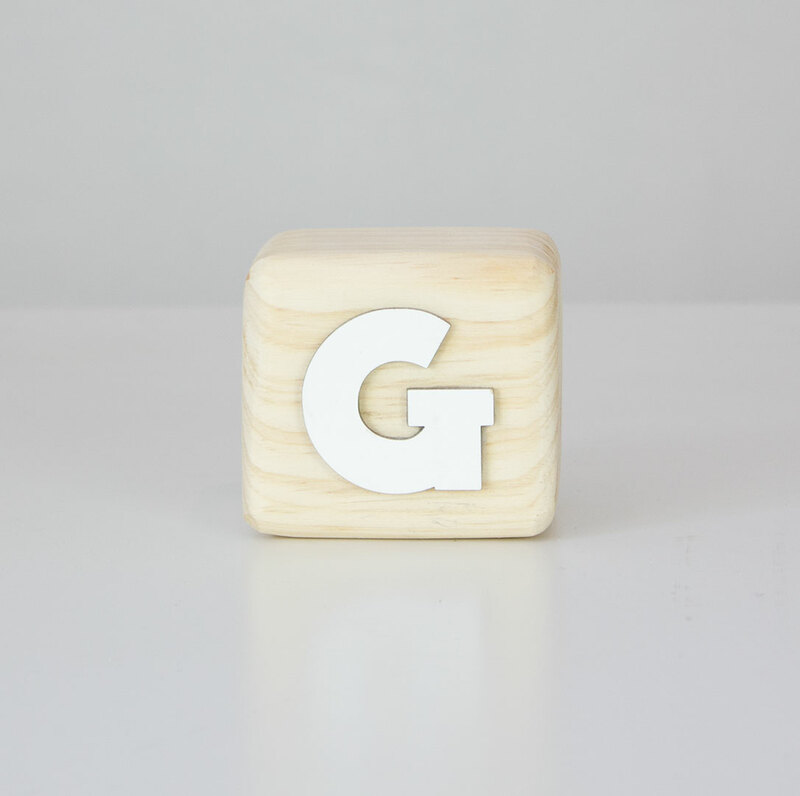 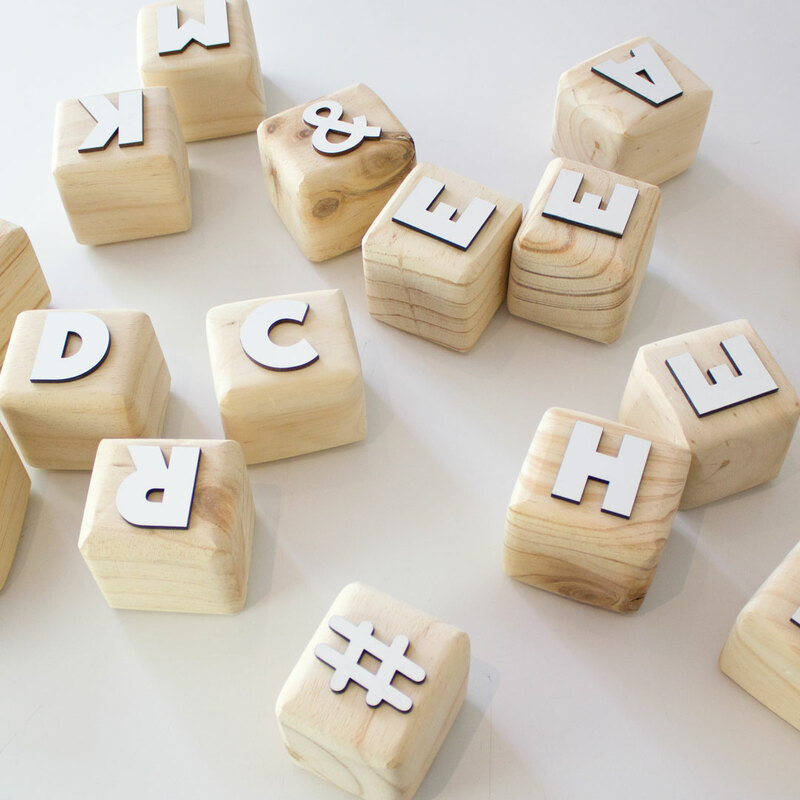 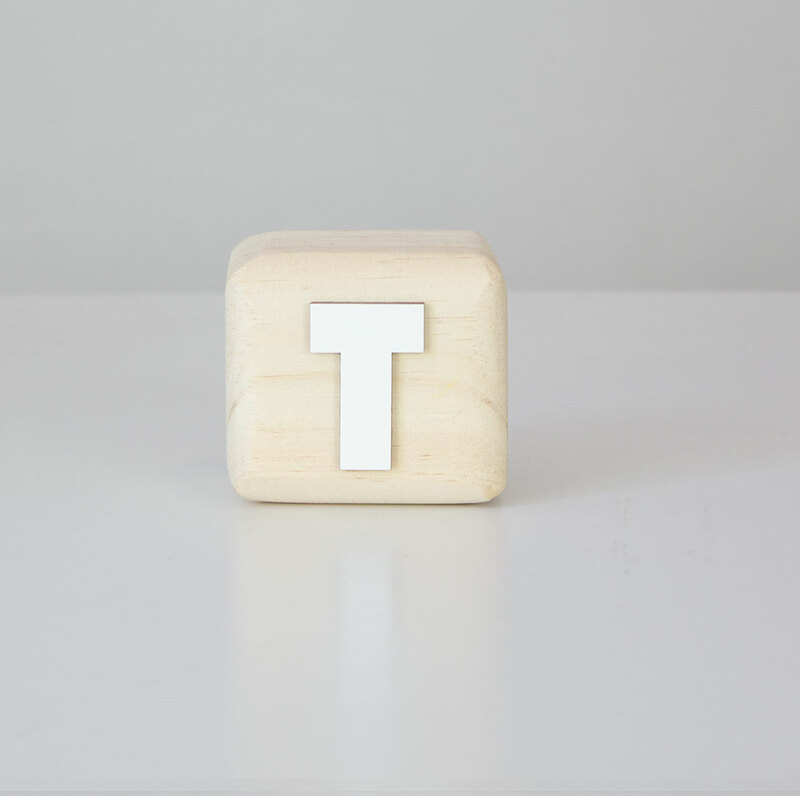 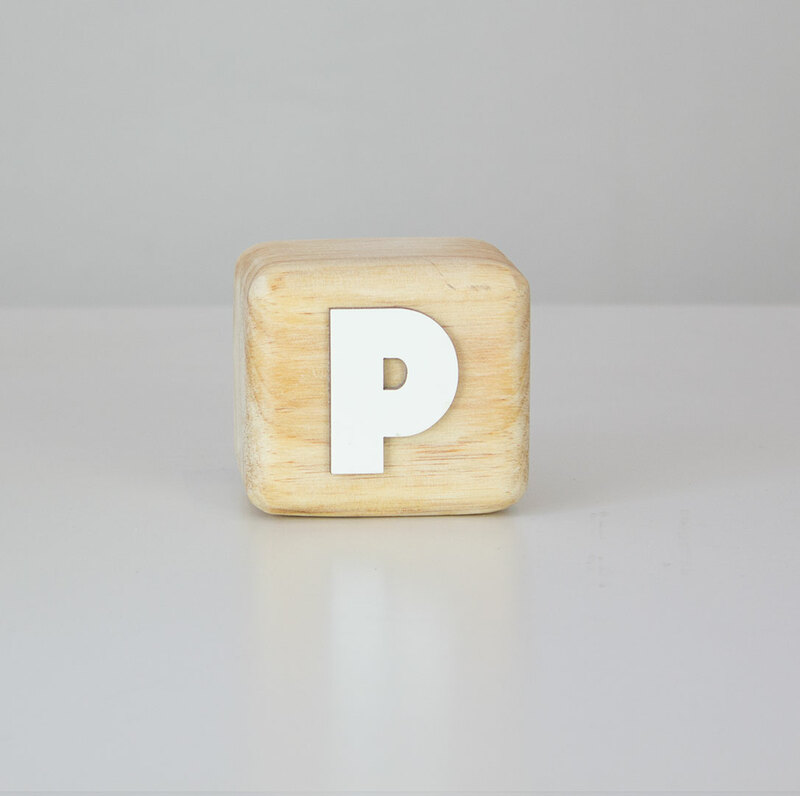 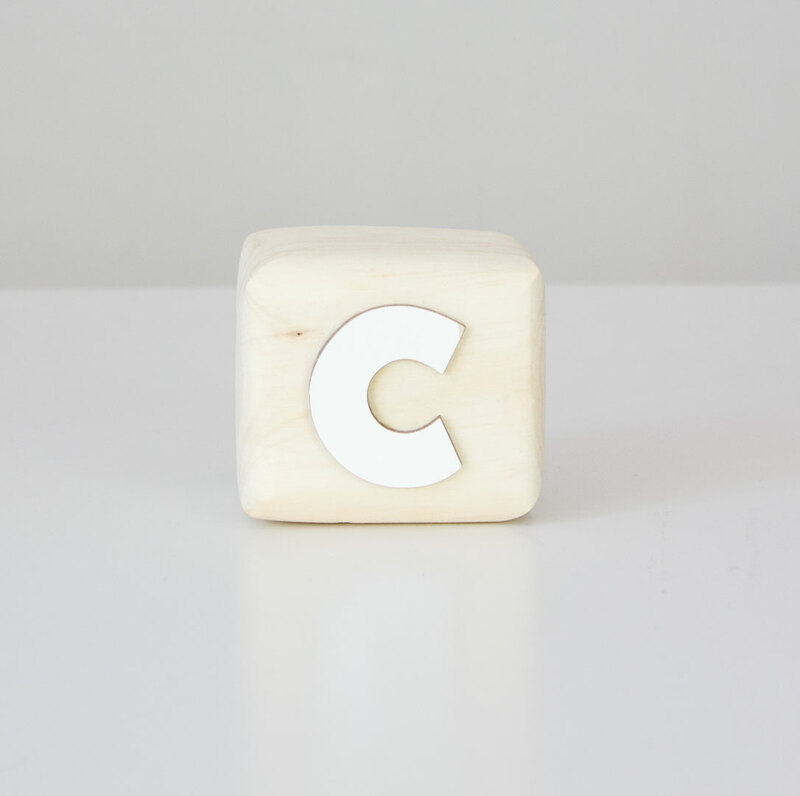 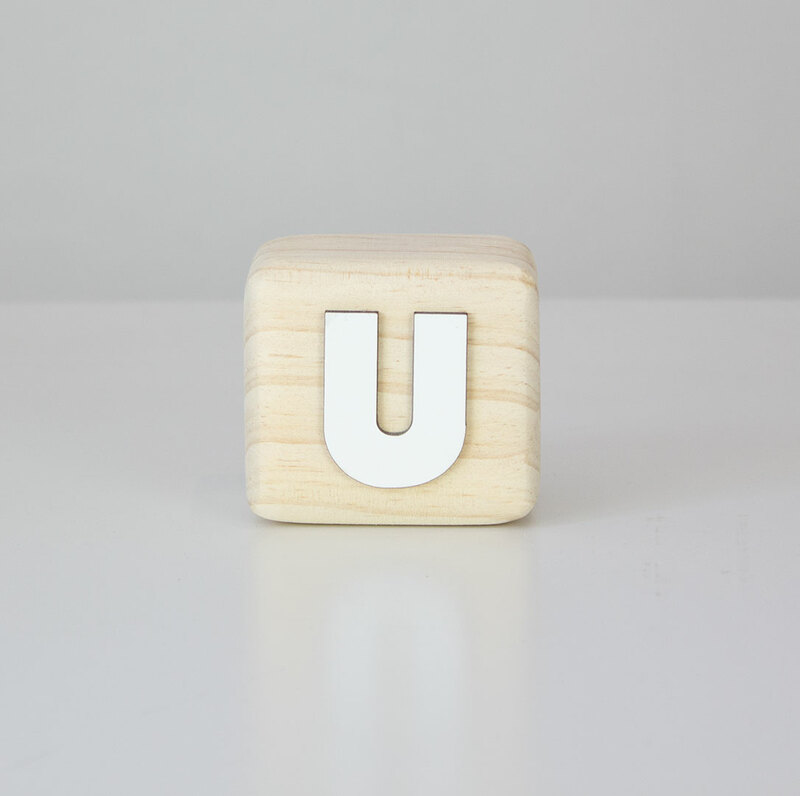 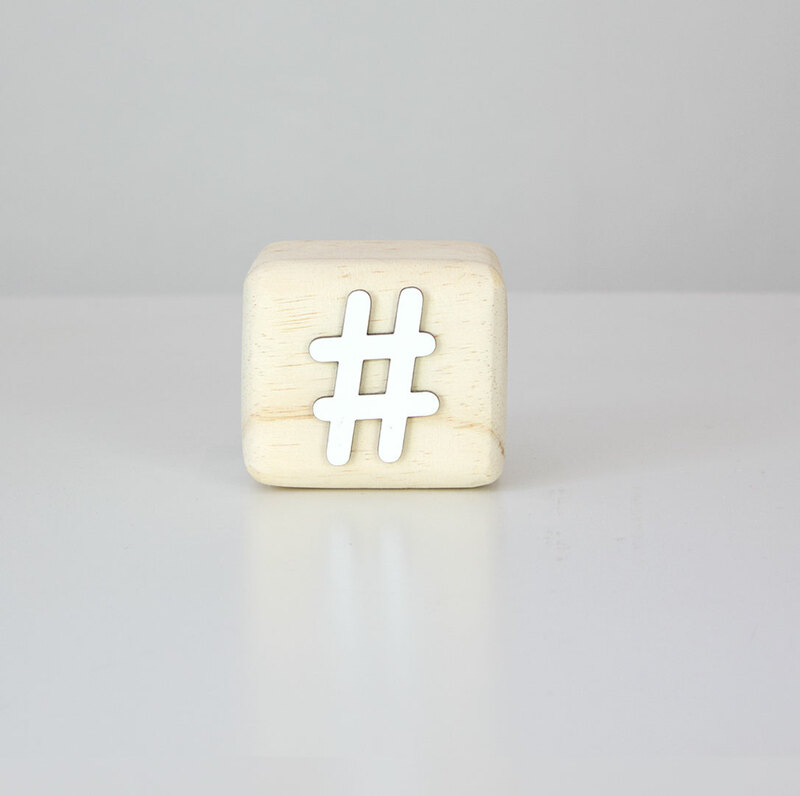 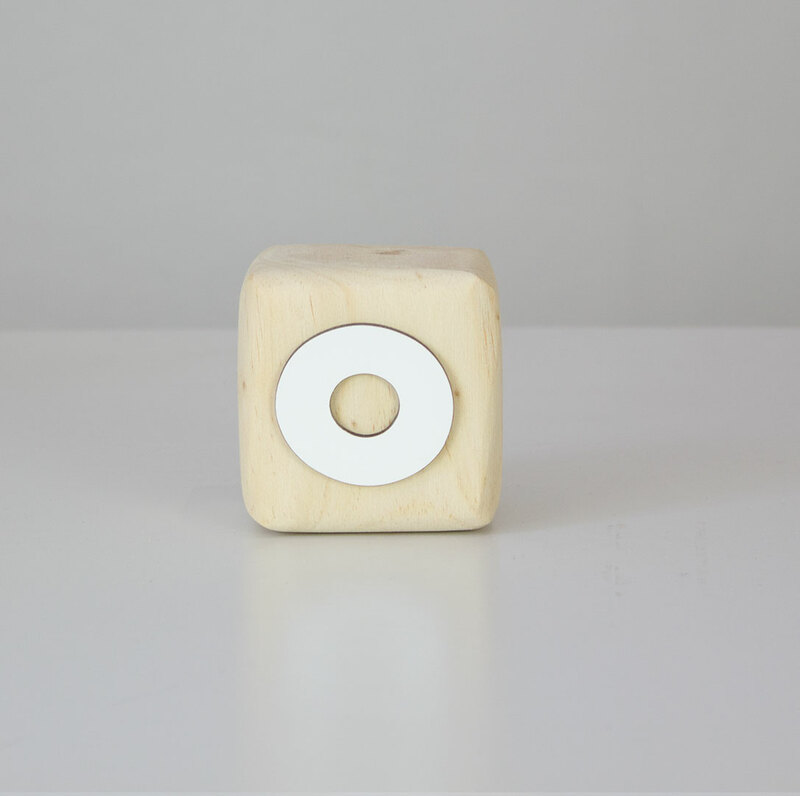 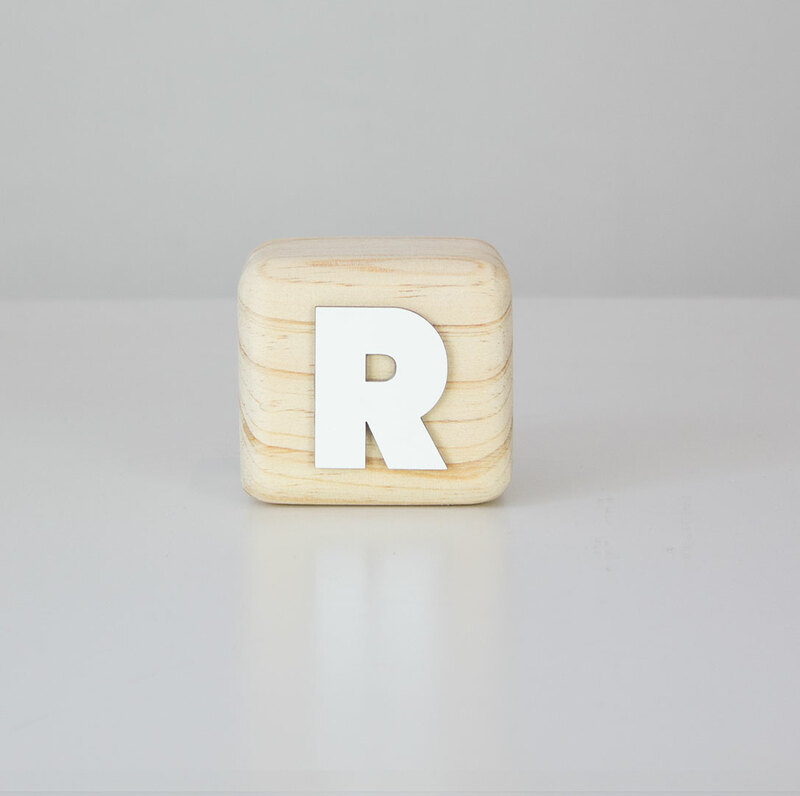 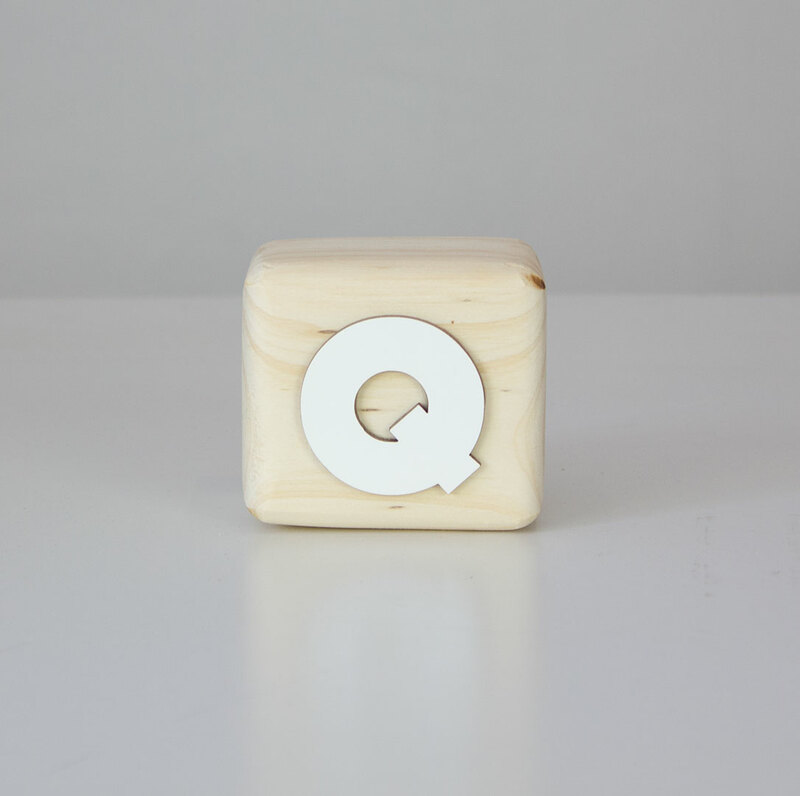 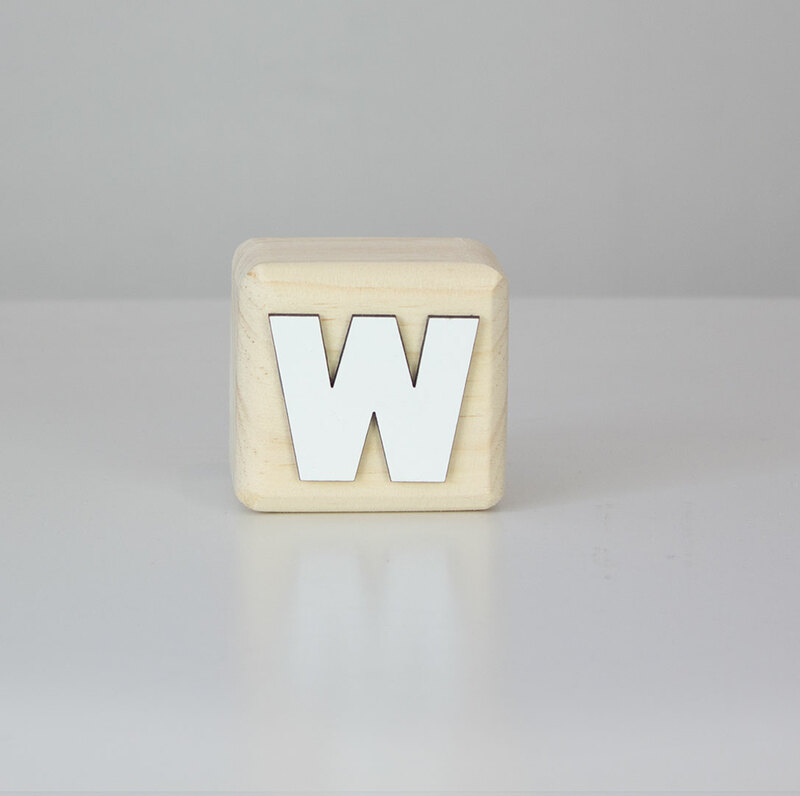 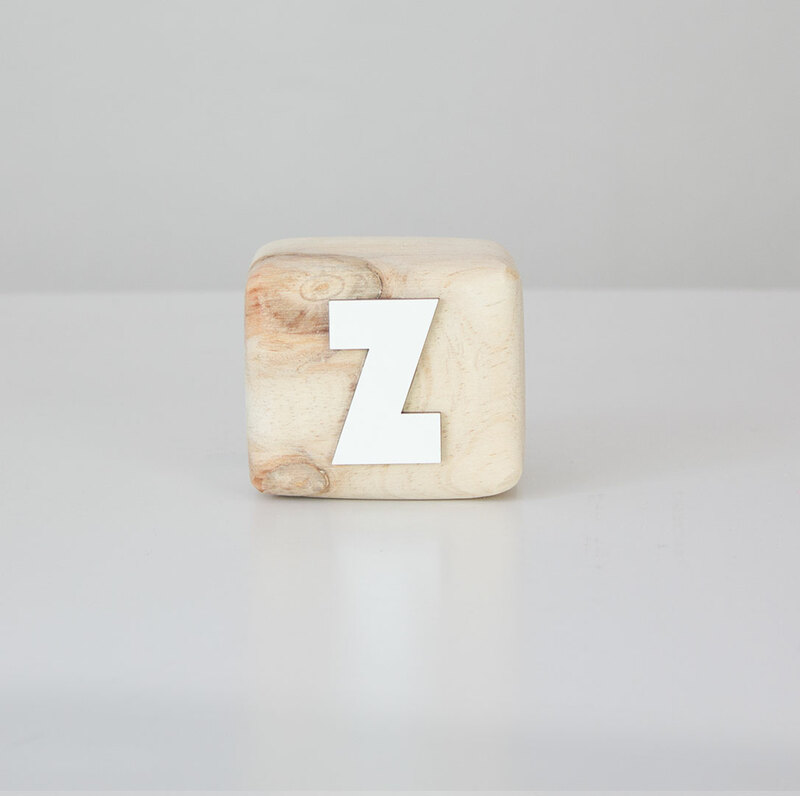 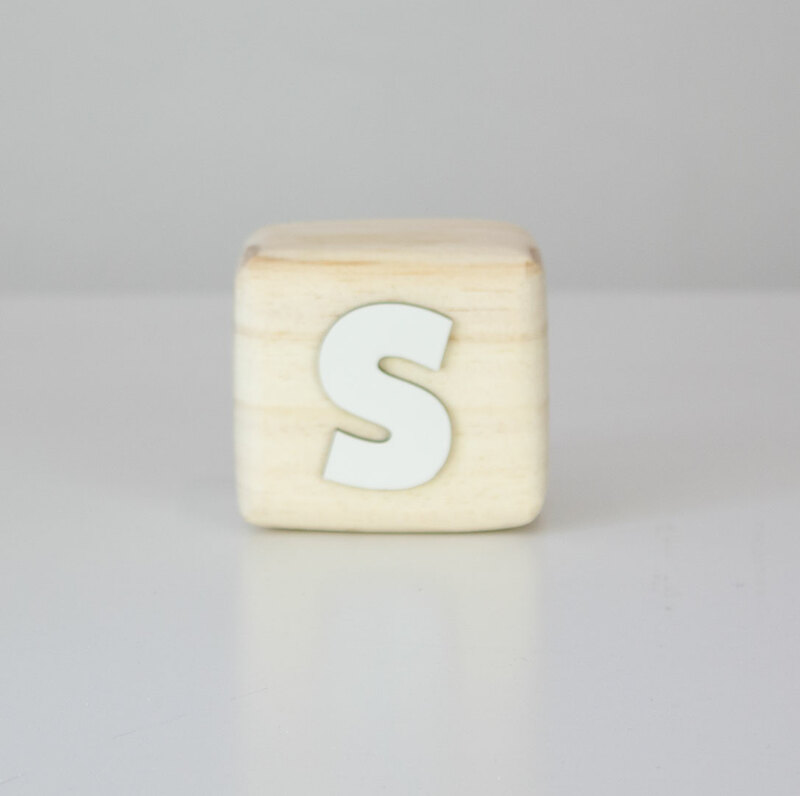 Beautiful and natural, each square handcrafted wooden block features a white laser cut letter or symbol icon. 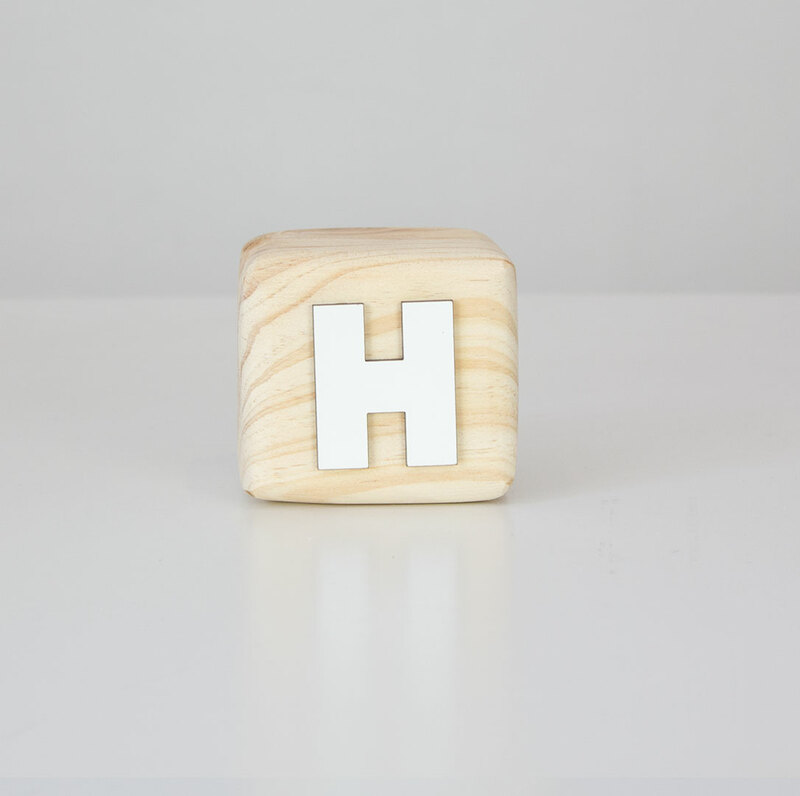 You can use them to write your little one’s name or a special message in your nursery. 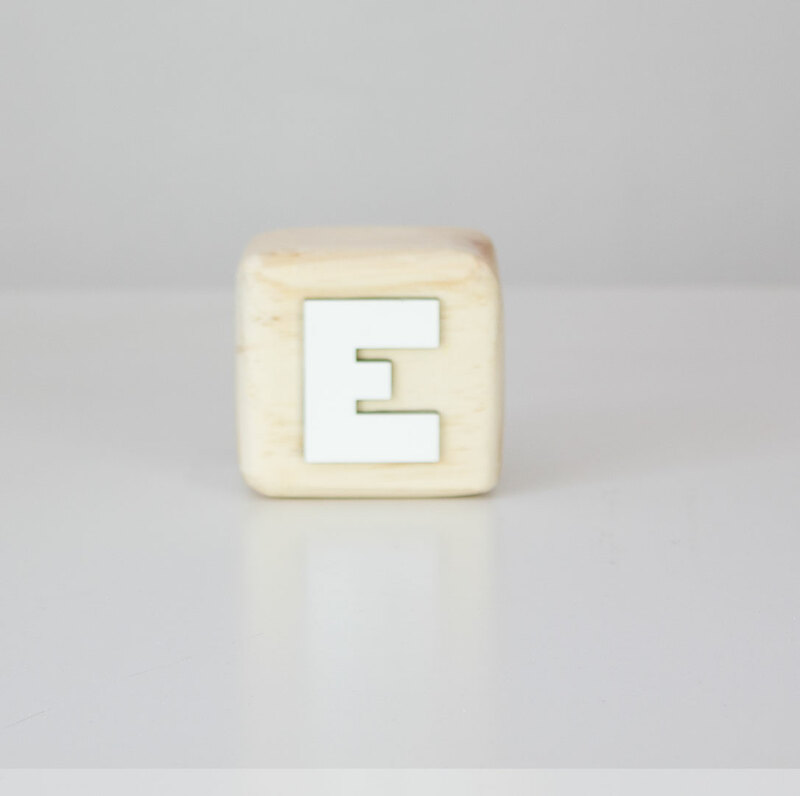 Since they are lightweight enough to play with, why not get the whole alphabet so baby can start learning to spell from an early age?